This page lists a series of materials concerning hand preference in children with and without disabilities. * What are the most important things we need to know about hand preference, and its relevance to function? 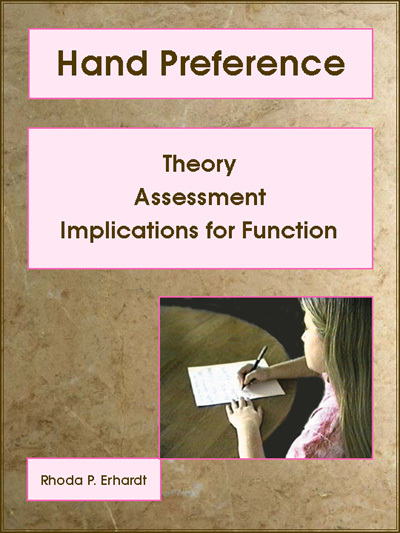 * What can we do to help a child who has problems with functional skills such as handwriting, which may or may not relate to inconsistent handedness? The EHPA is also available separately on a CD: HP1cd @ $25, for you to print unlimited copies for educational or clinical purposes. For international buyers only, these files can be emailed (em) to you, with no shipping charges: HP1em @ $25.